Professor Aasim Ahmad passed his MBBS from Sindh Medical College in 1983. He then joined JPMC as a registrar in 1990 and then joined Aga Khan University as an instructor and rose to the rank of Associate Professor. He spent a year at Guys Hospital as a Renal Registrar. 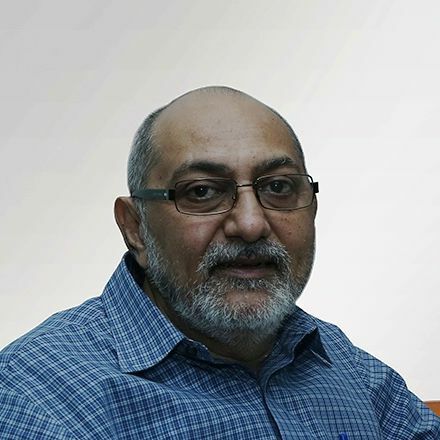 Professor Ahmad has rich experience in teaching and training; he is a supervisor and examiner in Nephrology for the College of Physicians and Surgeons, Pakistan. He has to his credit many publications in peer reviewed journals and chapters in four text books; he is a reviewer for the Journal of Pakistan Medical Association, Journal of College of Physician and Surgeons, Pakistan and International Journal of Surgery. He is a member of the International Advisory Board, Indian Journal of Medical Ethics. In 2003 he pursued his interest in Bioethics and completed his Masters from University of Toronto, Canada. He is the chairperson of Bioethics Group and a member of Ethics Review Committee of Aga Khan University and Ziauddin University. He is also a member of Ethical Review Board of Médecins Sans Frontières (doctors without borders) and International Advisory Board of MHSc (Bioethics) program of University of Toronto Canada.